But an objective analysis of forces shifting our economic realities is needed. An analysis which, when stripped of embellishments, simply tells us... How are we really doing? For starters, let us omit challenging the very purpose of an economic policy (i.e., I won't question whether demonetisation actually reduced black money. Would GST turn out to be a net positive? Whether RERA would bring or is bringing in more transparency in real estate?). Also excluded are comparisons across preceding political tenures. While analysing existential factors with a historical baggage is an intellectually stimulating exercise, I am more comfortable in presenting a more current, apolitical and technical version of things, using data to highlight the actual state of the economy along with its expected trajectory. The logic stems from the reality that policy actions are already set in motion. Let us discuss their effects instead of their basis. So, what are the set pieces here? For one, interest rates and capital flows. The most significant trend driving global economies since late 2007 has been an unprecedented drop in interest rates in the rich world. Be it Federal Reserve, the Bank of England, or the European Central Bank (ECB), the combination of bond-buying and a deliberately loose monetary policy gave the rich world access to ridiculously cheap capital for a large part of the last decade. Japan in the far east ventured towards negative rates in 2016 (joined by ECB) after suffering decades of stagflation, which technically meant investors would be charged for depositing their money in Japanese and European banks (See Chart 1). Rates in major emerging markets, including India, were moving in the opposite direction, hitting highs from 2010 to early 2016. Rising domestic inflation, driven by increasing crude oil prices, supply chain inefficiencies, and a growing consumption base resulted in a high rate environment. This rate differential meant global capital flows in the early and mid-segment of last 10 years moved from the rich world to the emerging markets. Foreign investors were flocking to Asia hungry for yields, leading to significant rallies in domestic equity and bond markets. The last segment of the bygone decade has been different. Rich world interest rates (with the US taking the lead) have been tipped to rise since 2016. The Federal Reserve has already announced its seventh rate hike in the last three years. Europe will follow suit, albeit in a more gradual manner from 2019 onwards (See Chart 2). Key emerging markets during the same period have begun to loosen monetary policy leading to rate reductions. The divergence of the early and mid-decade is repeating itself, albeit now in the opposite direction. The result is a capital flight back to the rich world. The foreign investor flight seen in India is a case in point (See Charts 3a, 3b). Though there are noises around monetary tightening coming back to the emerging world (considering a second crude oil price rise in the decade with recent consecutive rate hike by RBI as a reaction) -- capital outflow, especially in the Indian scenario, should not be expected to correct itself immediately. India would hence need to depend on domestic investors and liquidity to fund its growth. 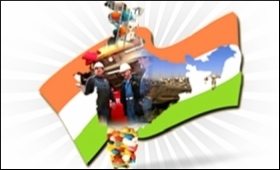 India sources over 80 per cent of its annual crude oil requirement externally, making us one of the largest oil importers in the world. Being a relatively price inelastic product, such an external dependence makes crude oil a key force driving our macro-economic realities. Crude oil's second price rise (See Chart 4) brings with it another leg of rising trade and current account deficit (trade deficit hit a 61-month high in June) for the country. Domestic retail inflation is at a five-month high. Interest rates are expected to go up. The rupee is at an all-time low. Assuming the upward (or moderately upward) trajectory of oil continues, need we be worried? The single-biggest lever a higher oil bill can pull is to reduce the government's appetite to spend. Our fiscal deficit is already widening thanks to petroleum subsidies, etc. Petrol and diesel pricing pains can exert additional pressure on excise duties leading to further revenue loss. Another pain point is the rise in interest payments on government debt. Ten-year government bond yields have been continuously increasing (See Chart 5) since the beginning of this year (due to a weakening rupee, which is driven off other macro factors). These higher interest payments would only constrain government spending further. However, the present government's commitment to fiscal consolidation implies there would be a hard stop at around the 3.3 per cent FY19 target mark. Considering we've already reached more than 50 per cent of the deficit target in the first two months of the fiscal means that the government would be severely constrained to drive further investment in the next few months (See Chart 6). And we do need investment, especially with a wave of capital outflow thanks to a rate differential with respect to the rich world as illustrated earlier. The country's gross fixed capital formation (an indicator of investment) also corroborates with the low investment hypothesis we've already set (See Chart 7). The US China trade war is only expected to accentuate other headwinds, including possibilities of moving to faster interest rate appreciation in the US (thanks to increasing prices due to push down of Chinese imports). Though President Donald Trump is pushing for a less aggressive rate hike plan, I don't see the Fed suddenly change its trajectory. US unemployment is at an all-time low and corporate tax reliefs ensure equity investors stay bullish. The interest rate appreciation links to our capital outflow hypothesis and will also further weaken the rupee. To assess whether the private sector can fill this capital shortage, it is key to see how some forward-looking indicators are panning out. A significant starting point may be to look at growth of credit across manufacturing, services, and agriculture. The underlying logic being that sectoral credit can be a proxy for investment appetite. Considering scheduled commercial banks still form the backbone of India's financial ecosystem, this data can be quite revealing (See Chart 8). Looking at sectoral credit growth as per RBI data, lending to both agriculture and industry has not really picked up. Industrial credit growth trend is mostly driven by large companies (See Chart 9). Though already sluggish, if we break the numbers into its further constituents, it is visible how micro and small, and medium industries are hit even worse, with not much indications of recovery. Such a credit crunch, driven by the twin balance sheet problem plaguing India's banking system, further accentuated through retributive actions against the banking community would be difficult to normalise. There is thus not much to be excited with respect to the Indian economy in the short to medium term. Government spending is expected to stay muted, considering external headwinds such as a rising crude oil and an increased cost of funding. Government's fiscal consolidation target is an additional constraint. Private sector investment looks no better, thanks to outflows expected to go up due to widening rate differential with respect to the rich world, as well as Indian banking system's twin balance sheet problem crippling access to credit. RBI's stress tests under its current macro-economic outlook does not exude confidence, with an expectation of gross NPA of the banking sector to go further up from 11.6 per cent this year to 12.2 per cent by March 2019. Unless of course, the government, one, drops its pursuit of fiscal tightening and enhances spending to drive public investment; and/or accelerates reforms with sound implementation around land, labour and capital to spur private investment. Without this, it is fair to say that things look rather bleak. With the advent of an election year, one can expect some progress on the spending side in an ad-hoc, populist manner. A splurge is, however, unlikely -- given budget estimate for the full year would be aligned by February 2019, i.e. before the general elections. It is indeed wishful thinking to expect a complete wash out of the fiscal consolidation narrative right before hitting the polls. Worse, expect no progress on reforms as that's too long-term a strategy to reap any immediate benefit. Either way, from an economic perspective I don't see anything aside from the status quo pan out and hence would continue to be a closeted Bear.